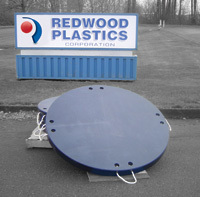 Lighter and longer lasting than plywood or steel, Redco™ Outrigger Pads stand up to harsh weather and extreme environments to protect you and your equipment from costly accidents. 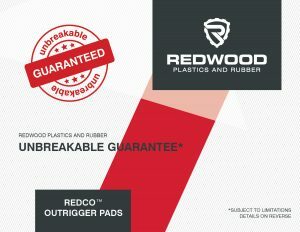 Redco™ Engineered Outrigger Pads are available in Redco™ UHMW, Redco™ Nylon and Anti-Slip Varieties. Save Time, Save Money… Save Your Strength! 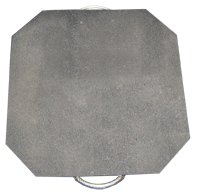 Redco™ Outrigger pads are warrantied against breaking or cracking due to defects in material or workmanship. Subject to the limitations and exclusions described in this warranty. 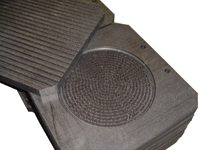 Redco™ UHMW & Nylon Outrigger Pads & Outrigger Pad with Gripping Cleat (right). 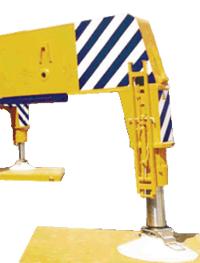 • 8X10 outrigger leg applied under two separate loading conditions; 10,000 pounds vertically and 10,000 pounds with a 45 degree angle. 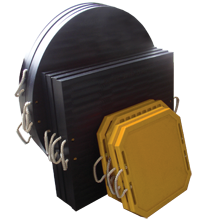 • Redco Nylon Outrigger Pads have higher load capacities than UHMW.